On the 19th of December, 2017 the 35th SSJ100 joined the fleet of Aeroflot. The aircraft was taken as part of the agreement for 20 machines signed by the national carrier with «VEB-leasing» and the United Aircraft Corporation at the MAKS 2017 airshow. The SSJ100 with tail number RA-89099 named after the Balcar poet Kaisyn Kuliev became the 5th aircraft accepted according to the terms of the new contract. 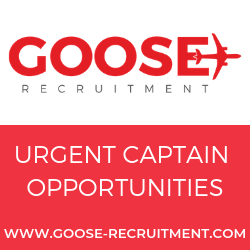 The aircraft has two-class configuration: 12 seats in business-class compartment and 75 seats in economy-class. 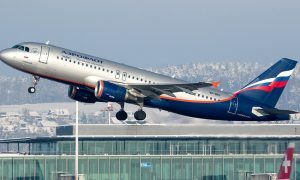 Currently, Aeroflot has same 87 passenger specification under operation, so there will be no significant changes as far as the technical maintenance of aircraft is concerned. The SSJ100 type has been the member of the Aeroflot fleet since 2011. The first agreement for 30 aircraft was fulfilled last year. 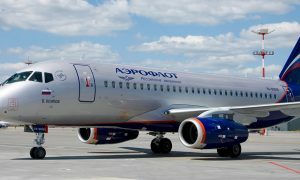 New deliveries will allow Aeroflot to increase the number of SSJ100 till 50. 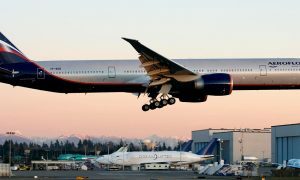 At the moment Aeroflot performs flights to dozens of destinations in Europe and Russia.